At first, they started out as a prop in our holiday video. Then, they became something Seth would pick up when he stopped by my desk. And then, on Thursday it became an all-out war with Steve using them behind his head, turning in circles, pointing to the sky. 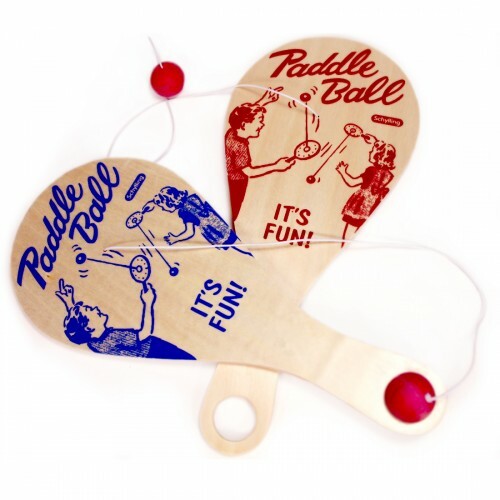 I’m of course talking about paddle ball. This little toy has become the stress reliever and now, the ultimate go to for laughs. Watching people concentrate with such intensity while willing the ball not to hit them in the face is my favorite moment of every day. Word has been getting around about my desk activities. Here’s to hoping no one challenges me. Have yet to prove my paddle worth.